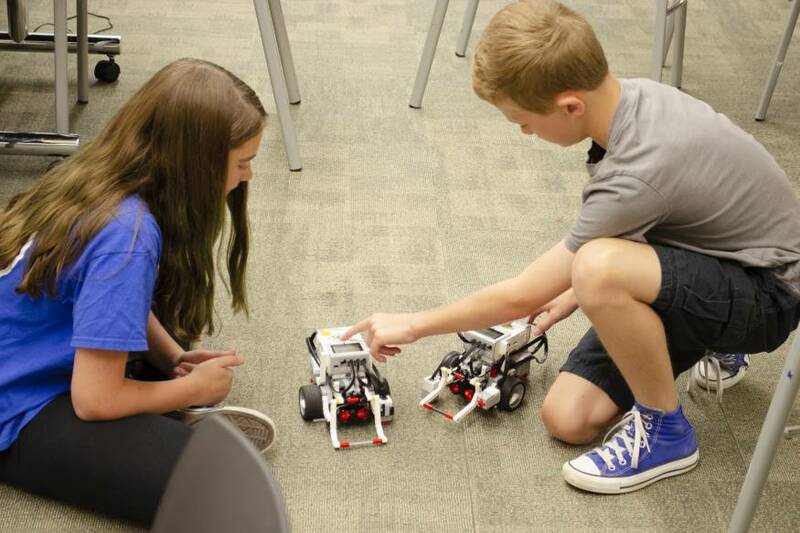 Heartland Foundation hosts STEAM camps each summer at our two experiential learning labs, emPowerU in St. Joseph, Missouri, and Think Ahead Works in King City, Missouri. 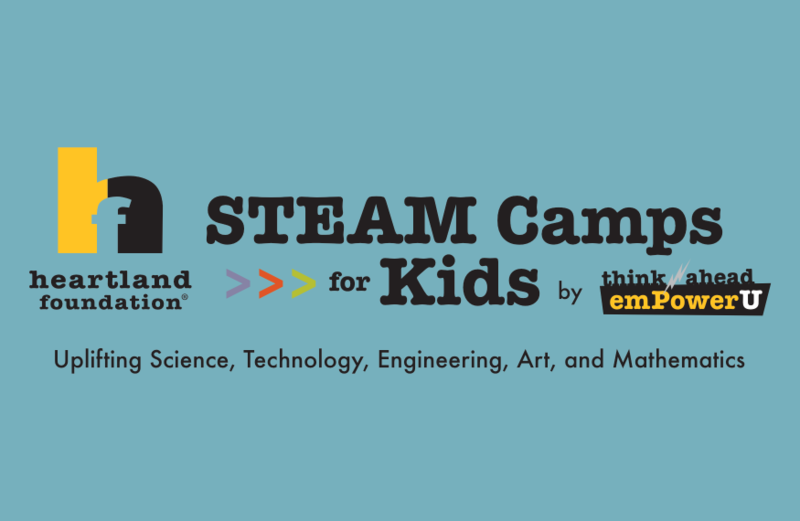 The STEAM camps are a fun and engaging way for kids entering grades 3-8 to spend part of their summer. Our STEAM programs are designed to create and develop an interest in science, technology, engineering, art and mathematics. All sessions feature hands-on activities led by trained facilitators. Kids will build machines, vehicles, tools, contraptions and robots. 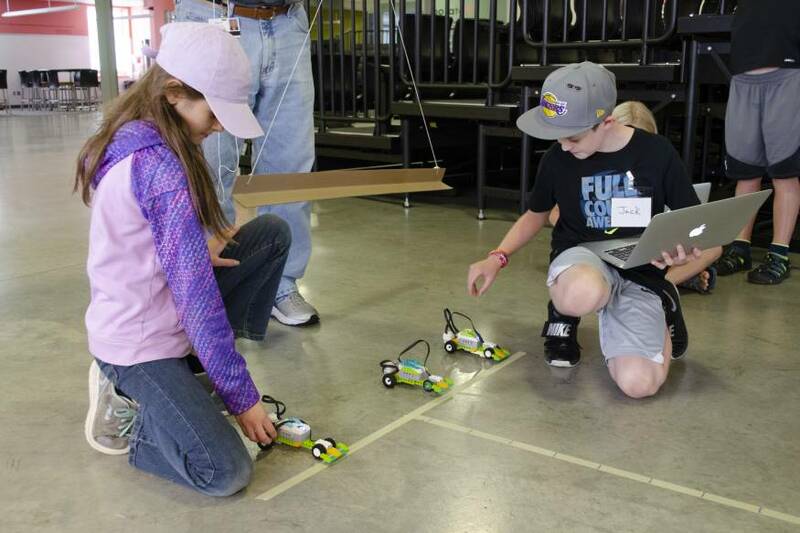 They learn how to use code to program their robots to perform a variety of maneuvers. 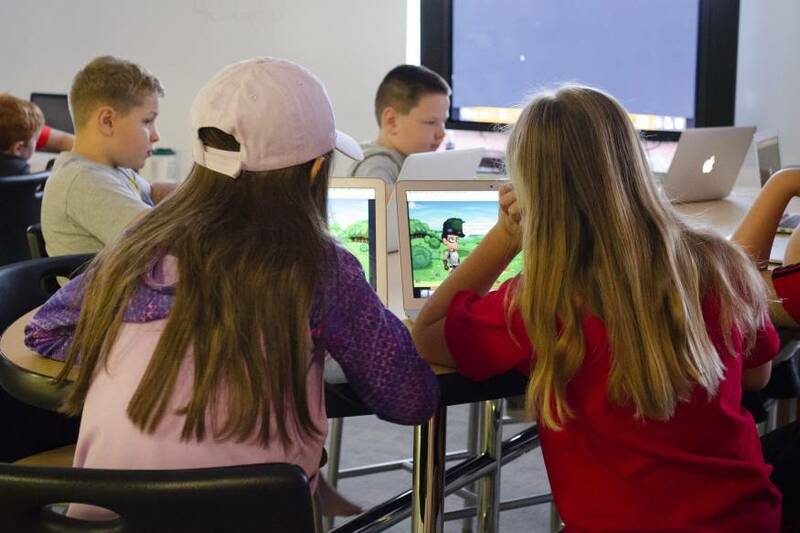 If your child loves video games, they will love Tynker Camps where they will create and code their own video game. Weekly camps offered July 15 – August 2, 2019. Please send complete registration form to myleigh.lanham@heartlandfoundation.org. The PDF is fillable online. 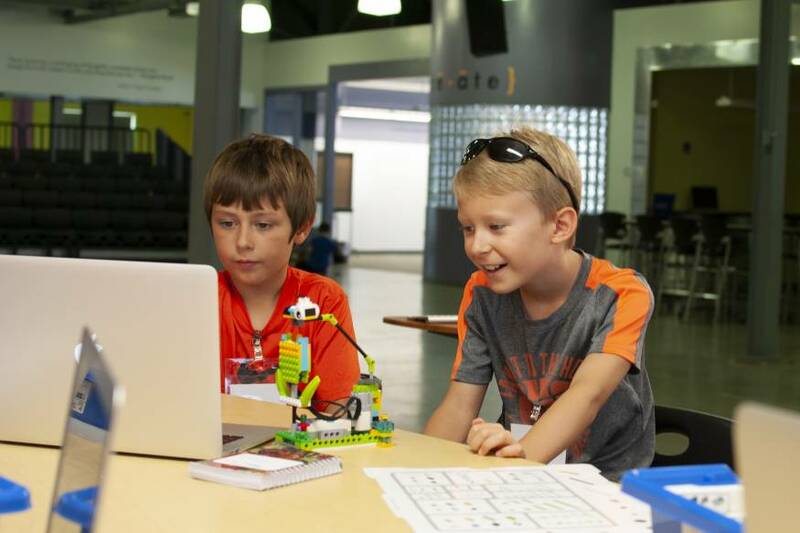 Whether you want to introduce your student to the world of robotics or have a student with more advanced abilities, these LEGO® Robotics camps are fun and educational! 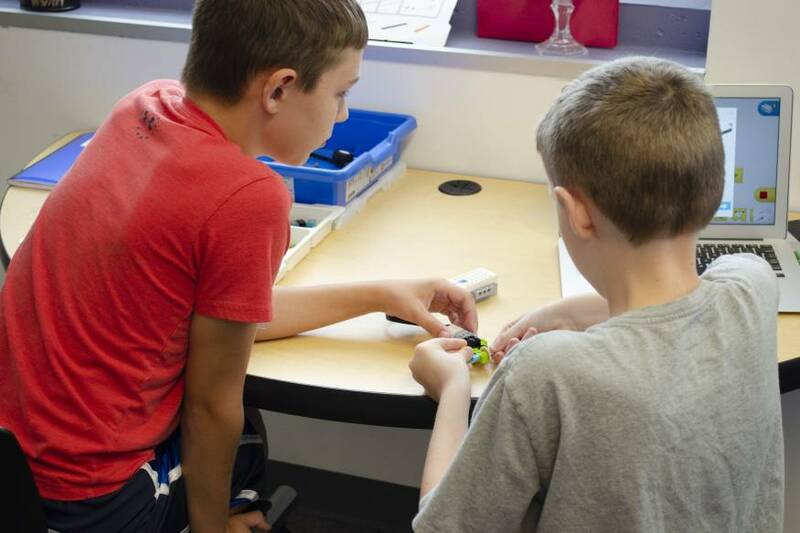 Featuring curriculums that foster the development of mathematics, engineering, creativity, and collaborative skills, your students are sure to enjoy these challenging yet rewarding camp experiences. 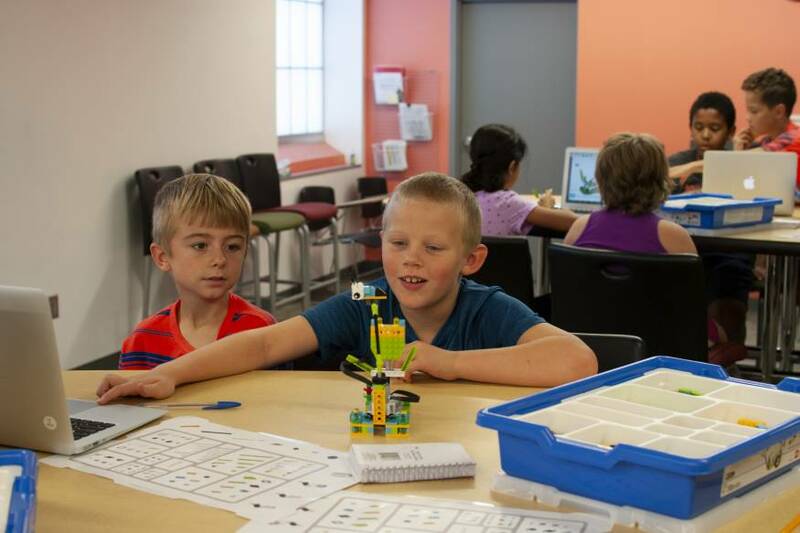 WeDo 2.0 Camps are offered to students entering grades 3-5. Students will blast into orbit at our EV3 Camps this summer. They will be challenged to design different robots and contraptions to successfully start their own space mission. We are utilizing First LEGO® League materials. 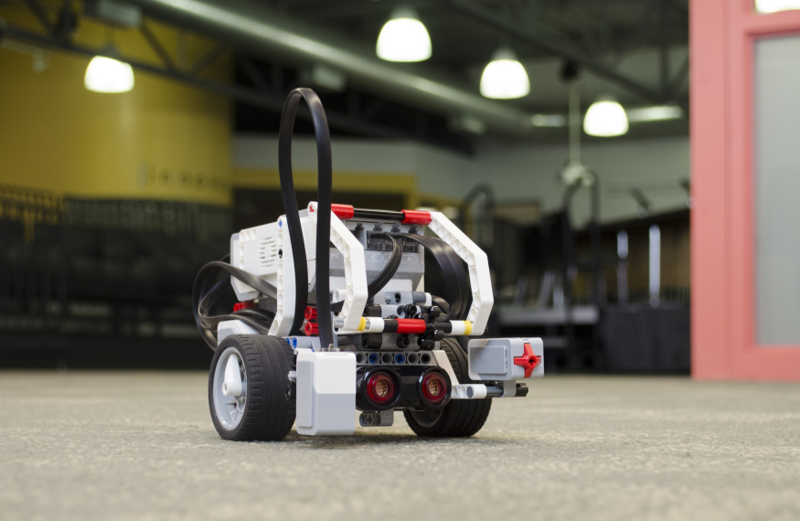 MINDSTORMS® EV3 Camps are offered to students entering grades 6-8. 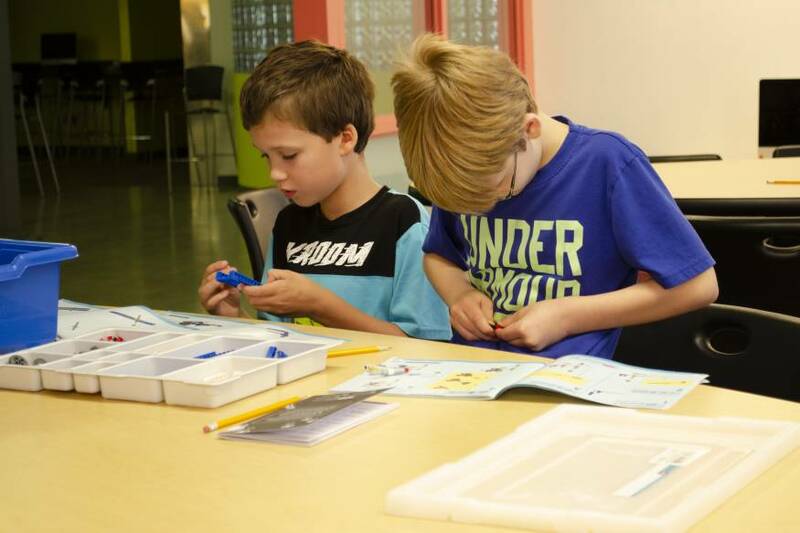 Our LEGO® Powered Machines & Mechanisms camps enable students to work as young scientists, engineers, and designers by providing them with tools and tasks that engage them in real-world investigations and problem solving. They design and make models to solve problems, observe the behaviors of these models, reflect and redesign, record, and present their findings. 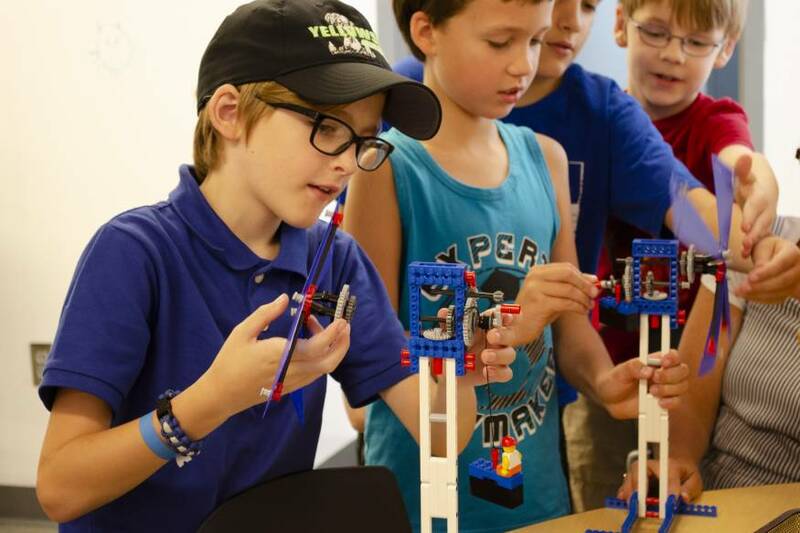 From simple creations to machines that utilize hydraulics and renewable energy, these camps are fun and challenging! Open to students entering grades 3-8. 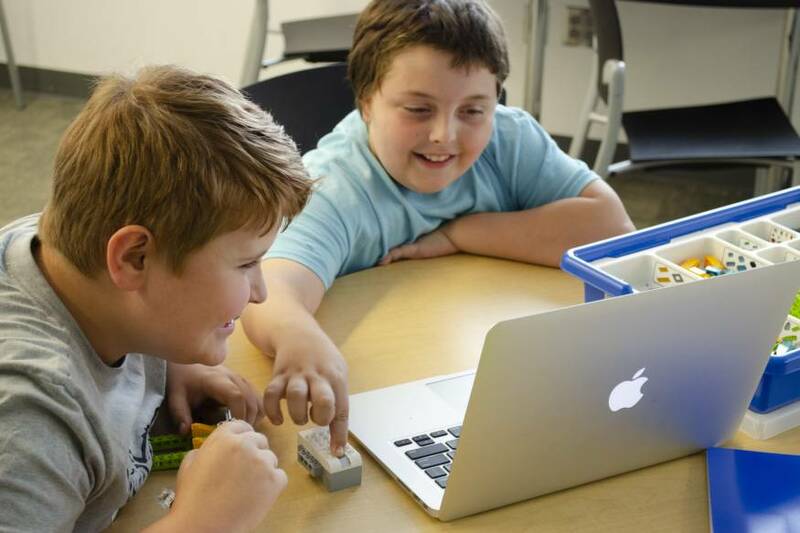 Learn coding basics, build arcade mini-games, animations, and platformers. Design and build your own games from start to finish by connecting code blocks. Build 2D game worlds, design animated heroes and villains, program game controls and motion, add music, and program game logic. At the end of the week, show off your own original games and play them with friends and family. No prior programming experience required. Open to students entering grades 3-8. Students get access to the online module for a full year! Virtual Reality Explorers is our newest and most exciting camp. Students will be able to experience the new technology and the new types of learning that can happen through VR. Whether it’s visiting other cultures, creating three-dimensional art, there is something to try! 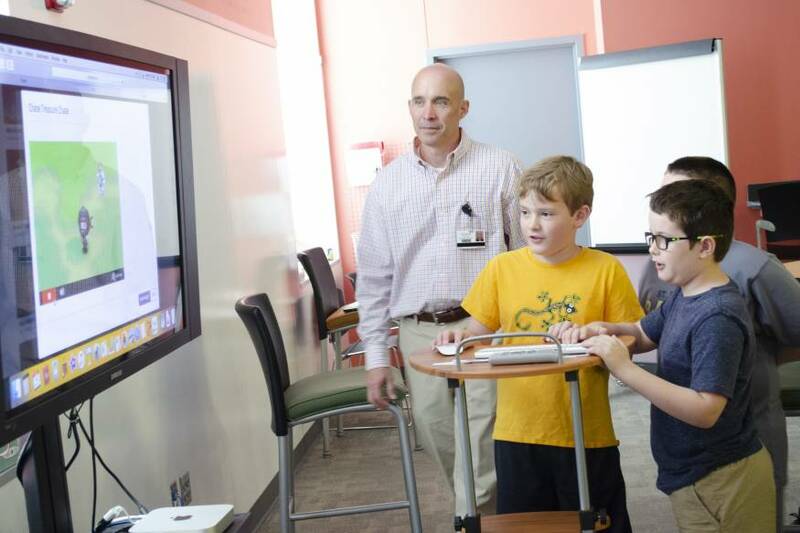 Virtual Reality Explorer Camps are offered to students entering grades 6-8. 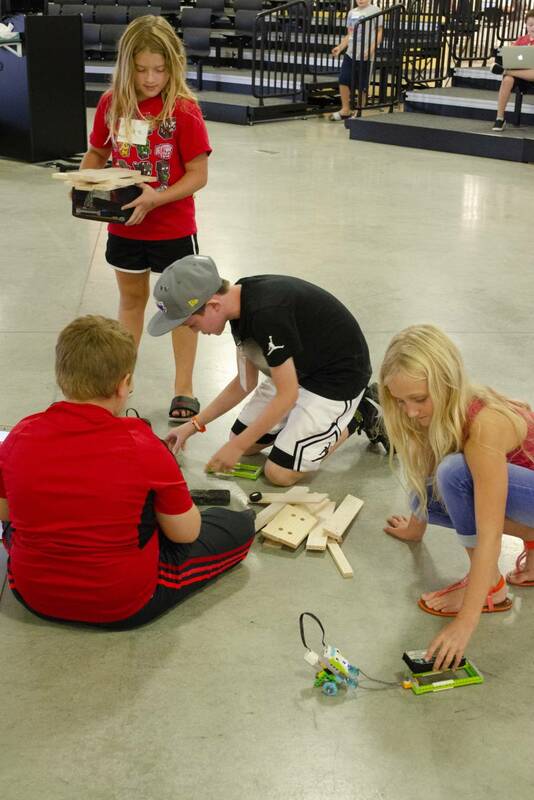 Heartland Foundation is hosting Camp Invention this summer at our emPowerU Campus! Camp Invention has a Counselor-in-Training Program for Grades 7-9 and a Leadership Intern Program for Grades 10-12 & College Students! Registration information for summer camps is available in the early spring of each year.